Chief Siyan was slow to begin. I'm Sorry and Lord Davinci collided soon after the start. Amlin Miss crossed to the rail soon after the start, checking I'm Sorry. Chief Siyan crossed to the outside soon after the start. Run Maggie Run and Happy Cruising collided several times from the 200m mark until the 100m mark. Chief Siyan, Run Maggie Run and Happy Cruising collided at the 100m mark. Run Maggie Run eased and crossed to the outside approaching the winning post and collided with Happy Cruising and Chief Siyan, checking both greyhounds. Stewards spoke to K Kubik, the representative of the greyhound Run Maggie Run regarding the greyhounds racing manners approaching the winning post. Run Maggie Run was vetted and re-vetted following race 3. It was reported that the greyhound sustained an injured right monkey muscle, a 10 day stand down period was imposed. Acting under GAR 69(B)(1), the stewards charged Run Maggie Run with failing to pursue the lure with due commitment (by reason of injury). 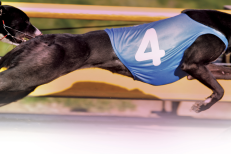 Mr Kubik pleaded guilty to the charge, Run Maggie Run was found guilty and stewards directed that the greyhound perform a Satisfactory Trial (all tracks) pursuant to GAR 69(B)(1)(a), before any future nomination will be accepted. The Club Veterinary Surgeon examined Reality Sail and no illness was detected. 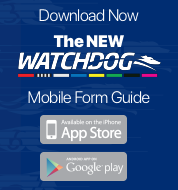 The greyhound was a late scratching at 9.55am due to weight variation (GAR 39). A 10 day stand down period was imposed. Trainer Mr Justin Hetherton was fined the sum of $100. A pre race sample was taken from Rhiannon Royale. Cousin's Choice and Happy Allen were slow to begin. Ivalise Allen and Happy Allen collided soon after the start. Maxworthy and Split Pea collided at the 300m mark. Rhiannon Royale checked off Maxworthy at the 200m mark. Ivalise Allen and Happy Allen collided at the 150m mark. Bear's Legacy was slow to begin. Acquire crossed to the outside and collided with Ann Cherie, Miss Blue and Molly's Money. Lamington Lass crossed to the inside soon after the start and collided with Acquire and Shelbourne Flyer. Acquire and Miss Blue collided at the 300m mark. Acquire and Shelbourne Flyer collided approaching the 250m mark. Acquire checked off Shelbourne Flyer at the 200m mark, checking Miss Blue. Bear's Legacy and Molly's Money collided approaching the 150m mark. Shelbourne Flyer tired over the concluding stages of the event. Shelbourne Flyer was vetted following the event. It was reported that there was no apparent injury found. Mon Mekki Kahn, Why Not Senor and Gone Rusty were slow to begin. Gone Rusty and Johnnie Red collided soon after the start. Why Not Senor and Gone Rusty collided at the 275m mark. Why Not Senor, Aston Amore and Enchanting Image collided at the 250m mark. Johnnie Red and Ryder Sir collided at the 150m mark. Why Not Senor checked off Enchanting Image approaching the winning post. Fiery Universe was a late scratching at 4.06pm on 2 June, 2018 due to illness (GAR 23). A 10 day stand down period was imposed. Stewards will require a veterinary certificate before any future nomination will be accepted. A pre race sample was taken from Jet Blaster. One Plus Two and Jet Blaster were slow to begin. Penny Worth and Iona Regis collided soon after the start. Aeroplane Bob and Last Outlaw collided soon after the start. Aeroplane Bob and Last Outlaw raced tight and collided several times from the 300m mark until the 150m mark. A pre race sample was taken from Bourbon An Kahn. Bullocky Bull, Sleater and Kouta Mayhem were slow to begin. Rosacky Thunder and Sobered Up collided soon after the start. Dave's Entity and Bourbon An Kahn collided soon after the start. Sleater and Dave's Entity collided soon after the start. Dave's Entity and Bourbon An Kahn collided at the 275m mark. Sleater and Bourbon An Kahn collided at the 250m mark and again at the 200m mark, checking Bourbon An Kahn. Stewards spoke to Ms Zoe Archer, the representative of Mr D Archer regarding his difficulty in boxing the greyhound Rosacky Thunder. Stewards directed that Rosacky Thunder be boxed first in future events. Magic Trap, Shelbourne Star and Midnight Muscat were slow to begin. Shelbourne Star and Midnight Muscat collided soon after the start. Doran's Grove, Shelbourne Star and Midnight Muscat collided approaching the 250m mark. Midnight Muscat checked off Shelbourne Star at the 250m mark. Hard Boiled checked off Lost Horizon at the 250m mark, severely checking Hard Boiled. Doran's Grove and Shelbourne Star collided several times from the 200m mark until the 150m mark. Midnight Muscat and Lost Horizon collided approaching the winning post. Doran's Grove checked off Shelbourne Star approaching the winning post. Stewards spoke to Mr Tim Noy regarding his difficulty in boxing the greyhound Alpanda. Stewards directed that Alpanda be boxed first in future events. A pre race sample was taken from Girt By Sea. Girt By Sea was slow to begin. Major Energy and Hayley Becca collided soon after the start. Hayley Becca and Fruit Frames collided soon after the start. Major Energy, Hayley Becca and Elle's Toy collided at the 250m mark. Hayley Becca checked off Major Energy approaching the 50m mark. Mr Brett Hare, trainer of Guns Ablazing declared a new weight of 30.5kgs for the greyhound in accordance with GAR 39(2). Guns Ablazing last raced at 29.6kgs. Tamile Lass was slow to begin. It's All Over and Superior Scotch collided soon after the start. Tamile Lass, Early King, Maggie Mikado and Guns Ablazing collided at the 250m mark causing Early King to fall, checking Maggie MIkado as a result. Guns Ablazing checked off It's All Over at the 200m mark. Maggie Mikado and Guns Ablazing collided at the 150m mark and again at the 100m mark, checking Gunz Ablazing. Early King was vetted following the event. It was reported that there was no apparent injury found. Stewards spoke to Mr David Schwartz, the trainer of Duke Of Dallas regarding the length of time the greyhound has had between races. Duke Of Dallas last raced on 7 January, 2018 and is returning to racing following an illenss (acidosis). A pre race sample was taken from Major Gas. Kalahari Sands, Mr. Swan and Meehan Blue were slow to begin. Meehan Blue and Molly Walker collided soon after the start. Meehan Blue, Molly Walker and Major Gas collided soon after the start, checking Molly Walker and Sleeping Sick. Major Gas checked off Meehan Blue approaching the 200m mark. Molly Walker and Major Gas collided approaching the winning post. Satisfactory Trial Results - Hollywood Nights trialled over the 300m from box 8, weight 29.5kgs, the greyhound was placed 4th in a field of 4. The time of the trial was 17.00, the greyhound was beaten by a margin of 15 1/2 lengths. Hollywood Nights was not cleared. Satisfactory Trial Results - Groomer McGrath trialled over the 300m from box 1, weight 31.6kgs, the greyhound was placed 1st in a field of 4. The time of the trial was 17.00, the greyhound won by a margin of 2 1/4 lengths. Groomer McGrath was cleared. Satisfactory Trial Results - Luna Evening trialled over the 300m from box 6, weight 27.1kgs, the greyhound was placed 2nd in a field of 4. The time of the trial was 17.00, the greyhound was beaten by a margin of 2 1/4 lengths. Luna Evening was cleared. Hollywood Nights was vetted following the trial. It was reported that the greyhound sustained an injured left monkey muscle and left pencil muscle, a 10 day stand down period was imposed.